One third of triple j hip hop fave’s Thundamentals, for MC Tuka, the past twelve months have been relentless. No sooner had Thundamentals release their highly acclaimed second album Foreverlution in July last year that, in-between a hectic Thunda’s touring schedule, Tuka was already “working day and night” on what would emerge as his sophomore solo LP Feedback Loop. Picking up where 2010’s Will Rap For Tuka left off, Feedback Loop is Tuka’s 2nd solo long player and is in Stores Oct 26th through Big Village / Creative Vibes. The first two singles to be lifted from Feedback Loop – Just To Feel Wanted and Die A Happy Man (featuring the classiest lady in Australian hip hop, Jane Tyrrell) – have both already been placed on full triple j rotation as well as cutting up airwaves across all key community radio nationally. Seven days after the album was completed, Tuka hit the road as headliner on Sydney hip hop collective Big Village’s national label tour to launch their second label compilation album Big Things Vol 2. 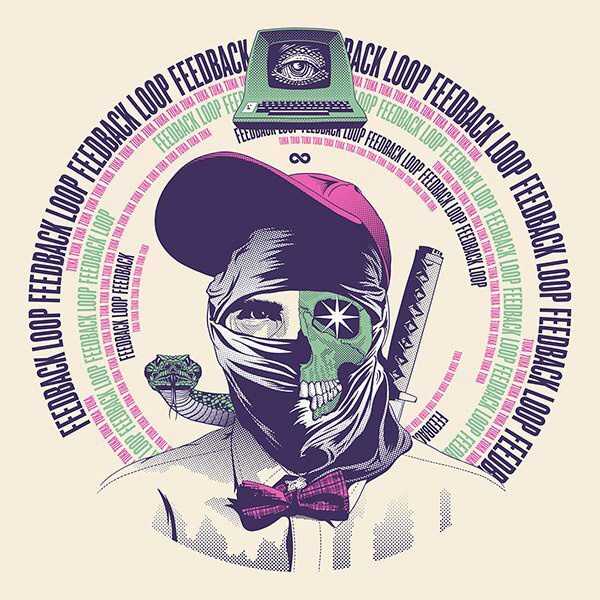 Official launches for Feedback Loop will go down in late November.